Operated by Polar Cruises, (but see comments below), the Clelia II is a Antarctica explorer vessel with a crew of around 77. The cruise ship experienced limited maneuverability as it was navigating through the Drake Passage to Ushuaia, Argentina some 845 kilometers away. The Buenos Aires Herald reported that the wind was blowing at about 90 km and the weather conditions were harsh. Other news sources report that engine failed when a wave broke over the bridge of the vesse and smashed windowsl, interrupting communications and causing an electrical outage that reduced power to the port engine. The Merco Press has an excellent article about the crisis and explains that the Clelia II sent out a distress call and is being aided by another antarctica cruise vessel, the NG Explorer, which relayed the emergency call. The Chilean vessel ATF Lautaro was dispatched to the area to aid the cruise ship however it is located 18 hours from the Clelia II. 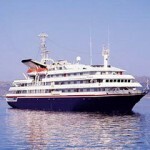 The Clelia II departed on a ten day cruise on November 30th. The cruise reportedly costs in the range of $8,000 to $15,000. This is not the first time this cruise ship faced an emergency. Last December, we reported that the Clelia II was disabled in Antarctica when it ran into some underground rocks. The operator was criticized for not timely reporting the incident and then downplaying the seriousness of the risks posed to passengers. The video below was filmed by passengers on the National Geographic Explorer. Were you aboard the Clelia II during this latest incident? Please leave us a comment below. ABC News interviews passsengers after they return to Argentina. http://www.cruiselawnews.com/admin/trackback/232186 Comments (2) Read through and enter the discussion with the form at the end Ken Gregory – December 8, 2010 2:54 PM My Mom is on this ship. Im sure she will have a great report with pictures. She is carring a all weather HD camera with video. I cant wait for the Ship to return safely to port. Lynn – December 9, 2010 11:08 AM Correction to the article – Polar Cruises is not the owner or operator of the Clelia II or NG Explorer. Polar Cruises is a specialized travel agency selling small expedition cruises to the Polar regions for over 20 years. 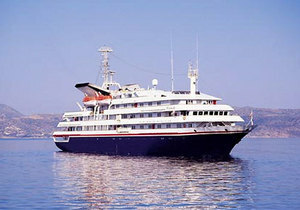 Clelia II is operated by Travel Dynamics International and NG Explorer is operated by Lindblad Expeditions.